The goals of this program are to promote healthy self-concept and facilitate interest in reading among children with literacy and/or learning challenges. Literacy skills would improve significantly as a result. 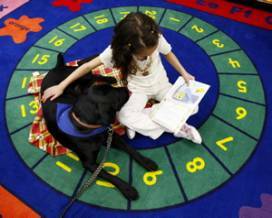 Published research has shown that grade-2 students with literacy challenges could improve their literacy by two grades after reading to a therapy dog weekly for a year. The program is AAT oriented. The children participate weekly. While they choose their books, a teacher/coordinator records and facilitates their progress. The program runs on weekdays in class at schools and also on weekends at a library. Volunteers commit weekly or bi-weekly. 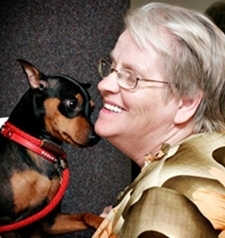 Every child reads one-on-one for 20 to 40 minutes to a a Professor dog. The child is also encouraged to write and read a weekly journal to the dog. Students may be in special education (literacy), language-impaired classes, special education (learning challenges), or regular classes but are behind in literacy. Thanks to our sponsors, every student receives a new hardcopy book and a certificate from his Professor Dog yearly. The goals of this program are to promote healthy self-concept and facilitate empathy and social skills among students/children with special emotional and/or social needs. Published research has shown that students with difficulties in emotional control and social skills could improve substantially in both areas after spending eight weeks with a dog at school on a daily basis. Further, these students developed a more positive attitude towards their school. The program is AAT oriented. The students participate weekly. A social service worker or a teacher sets specific and individualized goals for the students and records their progress. The program runs on weekdays at schools. Volunteers commit weekly or bi-weekly. Every student spends one-on-one time with his Professor Dog. But the student may also join the dog for group activities. The student is encouraged to share a weekly journal entry with the dog. Students in this program have special emotional and/or social needs. They are often under the care of social service workers at school or in special education (behaviour) classes. Thanks to our sponsors, every student receives a new hardcopy book and a certificate of excellence from his Professor Dog every year. The goals of this program are to promote and facilitate the emotional well-being of adult patients at hospitals and residents of long-term care facilities. All Doctor Dog spends quality one-on-one time with every client to provide the client with its full presence, exclusive attention, and active listening. Interaction focuses on the individual client instead of the dog, the volunteer, or the staff member. 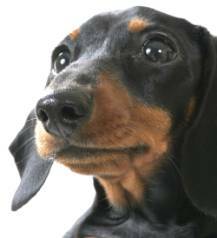 Hence, our Doctor Dogs do not interact with, or perform tricks for, a group of clients at the same time. The program is AAA oriented. It runs on both weekdays and weekends. Volunteers commit weekly or bi-weekly. Volunteers in this program should be flexible and be ready to travel the distance they specify on their application form. In general, new volunteers would join an existing program that needs more volunteers. They are welcome to initiate a new program only after visiting their current facility for 50 or more sessions. Our volunteers are responsible and committed. The goals of this program are to promote and facilitate the emotional well-being of young patients, children or teenagers of adults with health or physical challenges, children with autism, developmental delay, physical challenges, or multiple exceptionalities. All Doctor Dog spends one-on-one quality time with every client to provide the client with its full presence, exclusive attention, and active listening. Interaction focuses on the individual client instead of the dog, the volunteer, or the staff member. Hence, our Doctor Dogs do not interact with, or perform tricks for, a group of clients at the same time. 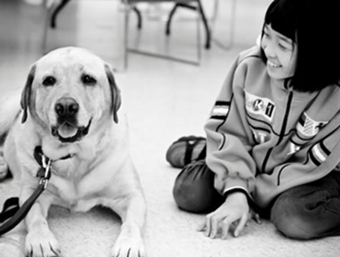 Our Doctor Dogs visit young patients as well as children and teenagers of adults with health or physical challenges. The program is AAA oriented. Moreover, our Doctor Dog program runs on weekdays at schools for students with autism, developmental delay, or physical challenges, etc. Volunteers commit weekly or bi-weekly. The program is AAA-oriented. But we strongly encourage teachers to implement a goal-directed and progress-tracking AAT program instead. In addition to having fun, students in an AAT could develop skills for the long-term. The goal of this program is to foster healthy self-concept, a responsible attitude towards volunteering, and strong community spirit among the children participants. In addition to assisting the evaluators at our Doctor-Dog evaluations, the children participants also engage in activities related to volunteering. Examples include writing a journal reflection on their volunteer experience, sharing with other children a book/video about volunteering they have read/watched, or expressing their volunteer experience in arts. We especially courage children with special emotional or social needs, literacy or learning challenges, or a desire to develop a healthy self-concept to join the program. All children volunteers are candidates for the Ontario Volunteer Service Youth Award after volunteering for two to three consecutive years. Disclaimer: The views expressed on our website are not influenced in any way by our sponsors.